First of all; I have updated the Gradient post! Check it out! Second of all; this challenge will last for a lot more than 31 days. Doesn't matter, I love doing this! Today I've been studying. Yeah. That's all. So let's talk nails instead! 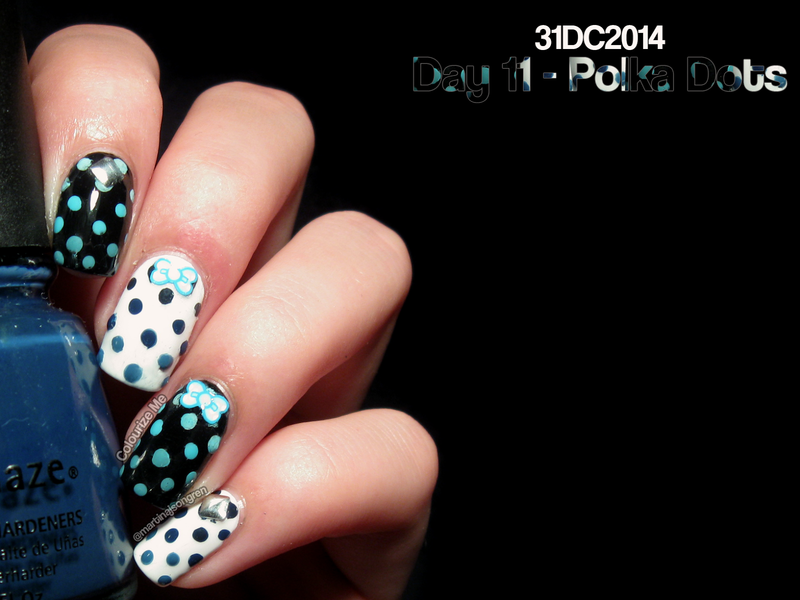 Polka dots for day 11! I don't like these pictures. They're fine, but they're not good. Just so you know. The base of this manicure is Nordic Cap NP12 and NP13. 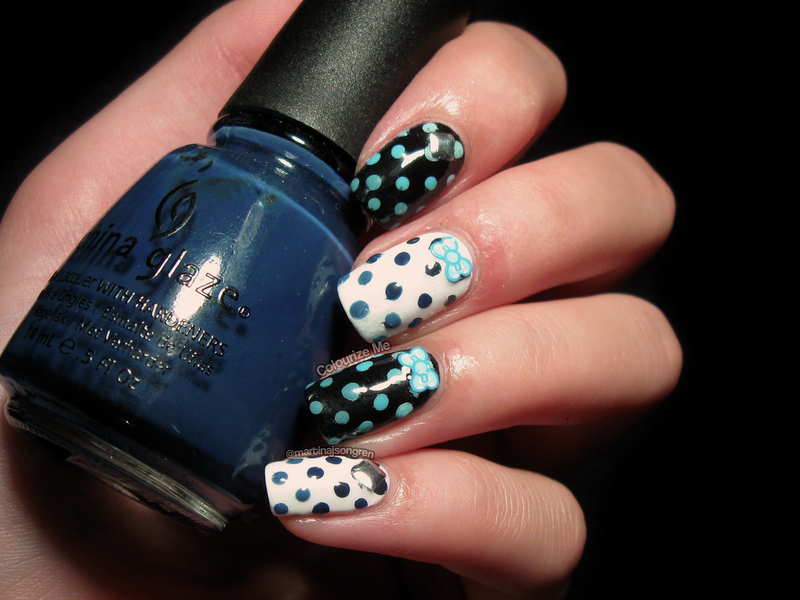 Then I used China Glaze First Mate to make the dots on the white nails. I don't know if you can see it, but there's actually a gradient going on in the dots. To get that effect I just mixed First Mate with my white polish and then again with the black polish. 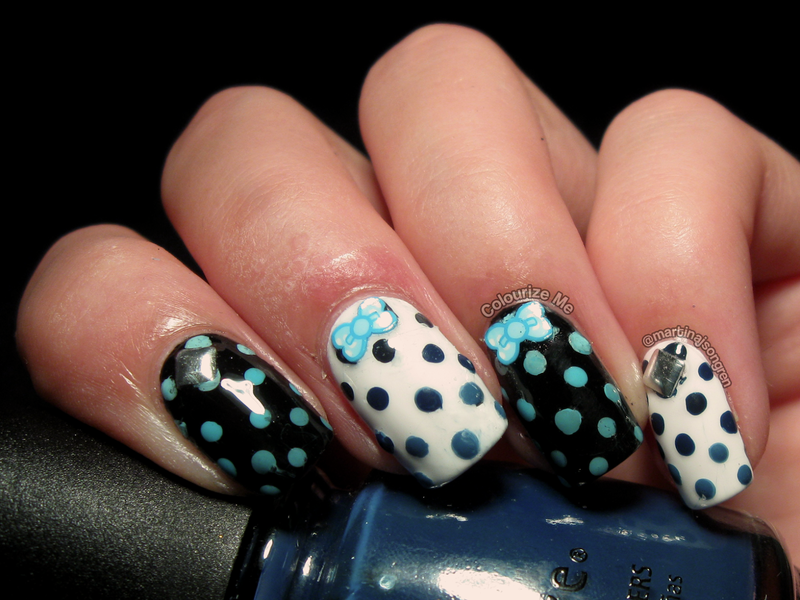 I did the same thing on the black nail but I used Nfu Oh 394 instead. Then I put a fimo bow on my middle and my ring finger, and a square stud on the other nails. Finished with a coat of Glisten & Glow HK Girl Top Coat. 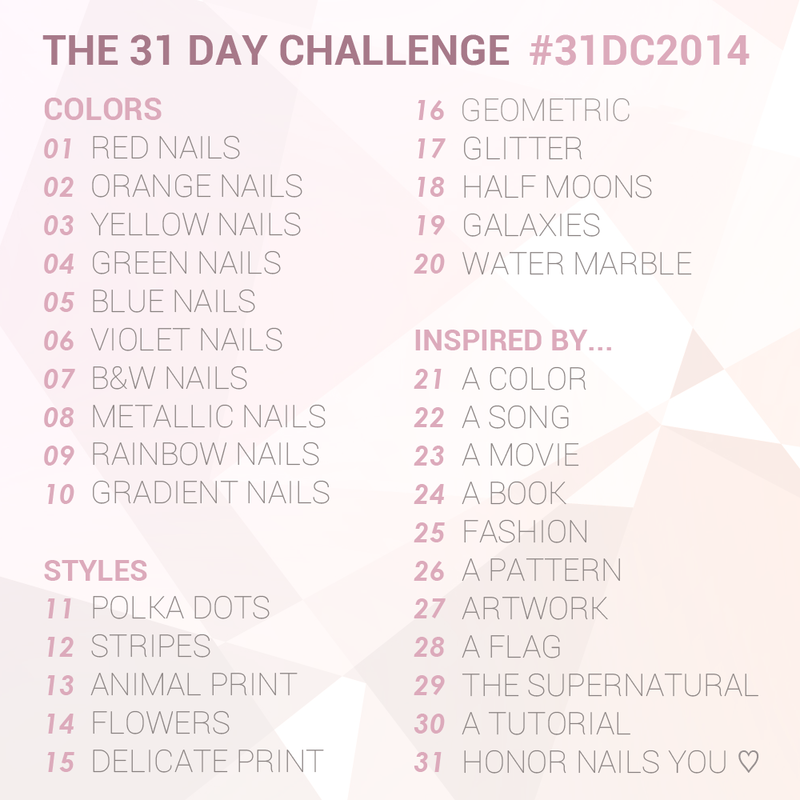 Check out day 11 from last years challenge, click click! Åh, det här var gulligt!